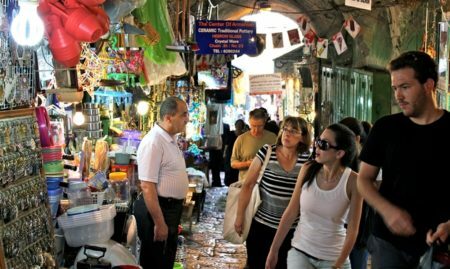 Jewish history in the Old City of Jerusalem stretches back over 3,000 years to the time of King David through the present. Most of the Jewish landmarks still standing today range from the Second Temple Period through the early 20th century. However, there are some that date back to the time of the original Judean kingdom. The crown jewel of Jewish landmarks in the Old City, the Western Wall is considered the holiest site that Jews have access to for prayer. It is one of the last remaining supporting walls of the Second Temple compound, an extension to the site built by King Herod during the era of Roman rule in Jerusalem. Jews from all walks of life flock to the site to pray on a daily basis, and it’s by far the most popular site for traditional bar mitzvah ceremonies. Even non-Jews stop by the wall just to see it and often to leave notes of prayer in between the cracks. The Yochanan Ben Zakai Synagogue, the Istanbuli Synagogue, the Eliyahu Hanavi Synagogue, and the Emtsai Synagogue were the centers of Sephardic Jewish worship and religious leadership from the 16th century through 1948, when the Old City was captured by the Jordanians and the synagogues were burnt. After Israel captured the Old City in 1967, the synagogues were refurbished and today, they not only serve as worship centers, but also event venues for weddings, bar/bat mitzvahs and other celebrations. 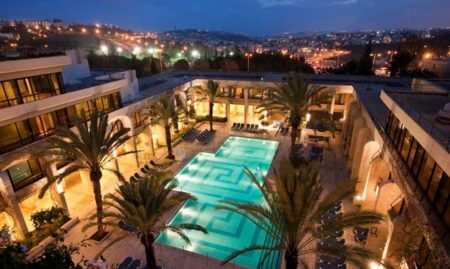 Built on the ruins of fortifications of Jerusalem dating back to the last days of the original Judean kingdom, the present-day structure is actually based on a tower built by King Herod during the Roman era. The tower that you see today was originally built by the Crusaders and destroyed and later rebuilt and expanded by the Mamluks. For hundreds of years, it served as a military outpost, but during the British Mandate, it was repurposed as a cultural center. In 1989, it officially became the Tower of David Museum, which is dedicated to preserving the history of the city, including the many important archaeological remnants on the Tower of David premises. You can visit the Tower of David Museum year-round to check out their permanent and special exhibitions, the Night Spectacular light show, Kishle tours and various cultural events. While it doesn’t get the same buzz as the Western Wall, the Southern Wall is a significant remnant of the Second Temple Era of Jerusalem. It was most likely the main entrance of Jewish pilgrims to the Temple Mount during the high holidays. The site is also significant in Christian and Islamic tradition. In a city full of important archaeological finds, it says something that these are considered the most significant. The tunnel runs along some 485 meters of the Western Wall that runs underneath the Muslim Quarter of the Old City. 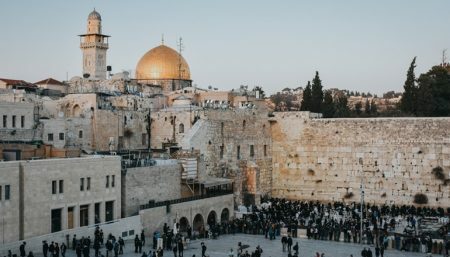 The excavations shed new light on the geography of the area around the Temple Mount that was expanded by King Herod during the Roman Era, including streets, supporting arches, a cistern and other structures, as well as a synagogue from the time of the Mamluks. It is also an important prayer site for Jews, as one point in the tunnel is the closes physical point to where the Holy of Holies stood during the Second Temple.